Enjoy our signature design as you turn your smartphone into a Bang & Olufsen-designed control centre. 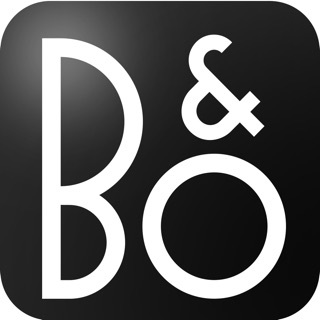 The app showcases the striking Bang & Olufsen products connected to your Bang & Olufsen account. The Bang & Olufsen app guides you step-by-step through the setup of your product, and helps you personalize your product and music expereince. Easy access to product specific sound settings of your Bang & Olufsen product, giving you beautiful sound no matter what you are listing to. Never miss an update. The Bang & Olufsen app will notify you about updates for your products. Beosound 1, Beosound 2, Beosound 35, Beosound Core, Beosound Moment, Beosound Shape. BeoLab 50, BeoLab 90, Beoplay A8, Beoplay A9 (1st gen), BeoLit 12 and the Playmaker can be set-up and configured through the app. BeoSound Essence (2nd gen), and speakers running on BeoLink Converter. BeoSound Essence (1st Gen) are supported for TuneIn and DLNA playback. Bang & Olufsen app replaces BeoSetup app for product set-up, BeoRemote app for operating your Bang & Olufsen TV and BeoPlay app for setting up and controlling your BeoPlay product. In this release we introduce two new features for TVs: stand control and speaker groups, making it possible for you to chose your predefined stand positions and speaker groups in the app. For Beosound Edge we introduce the option of selecting the sensitivity for the volume control on our Edge. As always our updates include improvements and bug fixes to make the app work better for you. Remember, the fastest way to improvements is to send us feedback via the app. Go to the Support page in Settings (the small gears) and tell us what you have in mind. This app is a disaster. Why B&O introduced new app and didn’t put there functions the old Beoplay app had? I own Beoplay A1 speaker and H8 headphones and I miss the switch for Active Noise Cancelling for the H8 in the app. I also miss the wheel for adjusting volume (this applies for both, H8 and also A1 speaker). I will not use this app till those functions will be there. I am staying with the old good Beoplay app instead. At this point in time our Beoplay app and our Bang & Olufsen app do not have the exact same feature set. 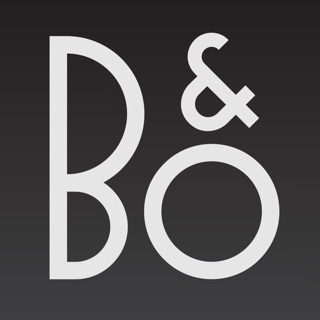 However rest assured that we are always working on adding more to our Bang & Olufsen app. App does not keeps setting of equaliser after turning off. Im always forced to make new setting to get coloured music, as I like it. Our latest update has now added the ability to save customized Tone Touch settings as Listening Modes. We have also made it simple to deselect a Listening Mode - you just need to tap the chosen Listening Mode button and the settings return to default. Your app should have updated it self, if it has not please check your app store for updates.